Need cash now? Have student loan payments to make? Have a job but just not enough money? 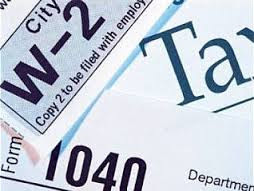 Well tax season is just around the corner, but even if you get your filing done early your tax refund will still take some time to get to you. It could be February or March before you see that money. A refund anticipation loan can help you get that cash now. Plan ahead for 2019, and get the money you’re owed sooner so you can put it to good use. 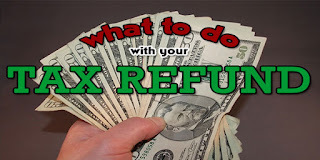 A refund anticipation loan is a smart way to get the tax money you will get eventually anyway. And if you have student loans hanging over you, causing stress and financial problems, it makes sense to get rid of them as soon as possible. If you can use the money from your refund to repay student loan debt, you can get ahead and eliminate this issue. But if you have to wait two or three months for that refund cash your problems will just accumulate. You will spend more on interest payments in the meantime, and even risk going into default on your loans. It’s not just student loan debt that can hang over you like a big weight. You may also have credit card debt. It’s a damaging kind of debt that costs you money and has the potential to negatively impact your credit score. A fresh start in January could be yours if you take advantage of a refund anticipation loan and get your taxes done as early as possible. With the loan you can get the cash you’ll have eventually but now. 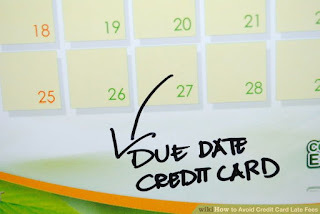 Use it to pay down or pay off credit cards and then cut up those cards so you can’t overspend again. A new year is a fresh start, and it’s a great time to make some updates that will improve your life. The problem, of course, is that you may not have the cash to get a new used car, to take that class that will help you get a better job, or move to an apartment in a better neighborhood. You could wait months to get your tax refund, but by then your inspiration to make changes and meet resolutions may have shriveled up in the dry winter air. With a refund anticipation loan now you could get that tax money sooner. Put it to good use making the improvements that will kick start 2019 the right way. Getting a refund anticipation loan now is easy. All you need to do is go online or use a mobile app to apply and then let a lender matched to you take over and get you approved. With an approved loan you can get the cash soon and start spending your refund money the way you want. Can I Use Refund Anticipation Loans For My Holiday Expenses? With Christmas just around the corner, there are tons of advertisements for all sorts of lending and credit products… quick loans, credit cards, retailer-specific financing options, and much more! But one of the most overlooked options for holiday financing are Refund Anticipation Loans – it’s your money, so why should you wait until next spring for your check to arrive? There are caveats to every type of loan or lending product, and most of the options mentioned above have one big problem – you’re almost always limited in how or where you can spend that money. If you take advantage of financing options at a specific store to buy some gifts, what happens when you see something across the street that would just be perfect? Well, you’d be out of luck – unless you had decided to use refund anticipation loans to add to your holiday spending fund! With our top rated providers ready to serve you at any time of day or night, 7 days a week, you can apply for some of the best refund anticipation loans on the market in less than 5 minutes. One of the biggest limitations of credit cards or store financing options for holiday shopping is time – when you’re trying to get all your gifts purchased, delivered, or even mailed by a certain date, it can be totally impossible to make your shopping happen while waiting days or even weeks for a loan decision! Luckily, when you apply for refund anticipation loans through our free online service, you may be able to get an approval instantly or within just a few short hours. Many applicants are thrilled to report same day approvals when they needed a refund anticipation loan, with funds deposited as quickly as the very next business day. You’re welcome to walk away at any time – our refund anticipation loans application has zero obligation, and you can always choose to decline the loan offer, before you sign to finalize the loan, during the application process! 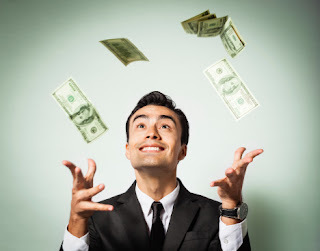 Find Out How To Use Refund Anticipation Loans For All Your Needs! 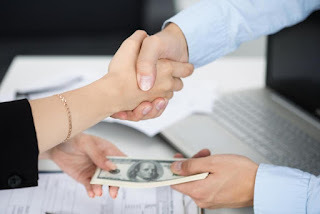 The idea of the refund anticipation loan is pretty simple – typically you file your taxes in the late winter or possibly even the early spring, and you wait around for the IRS to process, document, and file your tax return. Once they’ve finished their end of the paperwork, they’ll send you the refund you’re owed – but this usually takes weeks, if not sometimes even months, for your money to show up! 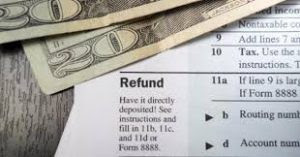 Instead of waiting around for that cash, refund anticipation loans make it easy for consumers to access their tax refund money when they need it, instead of adhering to the federal government’s slow moving timeline. When you’ve been approved for the refund anticipation loan, the funds will be deposited directly into your bank account as cash – so you can use your money any way you see fit. It’s a great option to consider refund anticipation loans, and with no obligation, why not apply now? One of the major reasons that people turn to these loans is because they know they have a refund coming from their tax returns, but they also know it will take time to get the money. 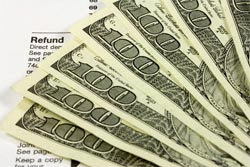 With an income tax advance you can get that refund cash sooner than the IRS will send it out to you, much sooner. Even if you file your taxes electronically, you’ll never get your money this quickly. 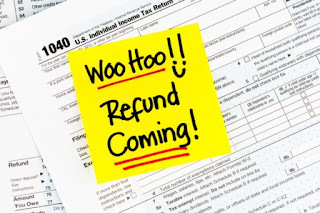 With an income tax advance you can get your refund by the very next morning after you apply and get approved. That’s cash in your bank account in about 24 hours or less, depending on when you applied. 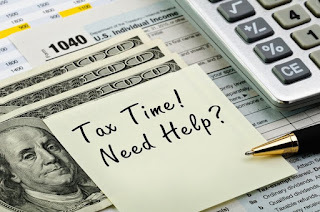 A great reason to turn to an income tax advance over other options for getting cash is that it takes only a few minutes to apply. All you have to do is fill out a short, one-page application. There’s no need for faxing or lengthy credit and background checks. It will literally take you a few minutes to apply and then it will take your lender 90 seconds or less to get you an answer. Imagine being able to borrow a couple hundred dollars with no strings attached. There is none of the guilt from parents or friends when you borrow money this way. There is only the independence you gain when you are able to borrow and spend money like a responsible adult. Even if you aren’t expecting to get a refund from the government, you can still get and benefit from an income tax advance. In fact, owing the IRS money is a popular reason to get this kind of loan. It provides you with the cash you need to pay your bill on time and to avoid late fees. Can you say that about most loans? You probably can’t because we are the leaders in making loans mobile. Instead of slogging through the traditional loan process, you can pick up your smartphone from any location with a Wi-Fi signal, apply, and get an income tax advance from our lenders. This is probably the best reason of all to get an income tax advance. It’s really that simple: you get extra cash when you get this loan. You get the money you need to get through the week, to make it to payday, to pay that unexpected bill, and to avoid late fees on bills you were expecting. Get this loan when you need cash, and you won’t regret it. Few things feel as good as getting extra money. Whether that’s a bonus from work, the money that your friend has owed you for months, finally repaid, or best of all, your hard-earned cash returned to you from the IRS. Some people dream of using it for a special treat, while others will use their tax refunds responsibly, to pay bills or pay down debt. Either way, it’s an exciting thing to get extra money. Your actual refund may not arrive for weeks, or even more than a month, but we can help you get that cash now, thanks to our tax anticipation loans. A tax anticipation loan is a small, personal loan that you can get with minimal hassle or time invested. You can use the cash to pay bills, to tide you over until your next payday, or to spend on an investment or a special splurge you’ve been planning for you or your family. The loan is based on your income and paycheck, but you can also use it as a way to get your tax refund sooner. You don’t have to repay it with your refund, but if you know you have that check coming, it may help you feel better about being able to repay a small loan. 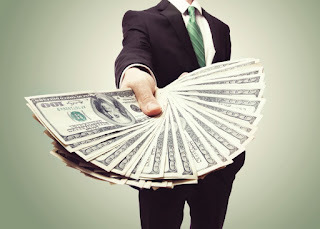 With our tax anticipation loans you can apply easily and quickly. We have two options for you: You can apply online by filling out an application or you can apply through a mobile app that you can access through your phone. With either option, you get a quick and easy way to provide us with the information we need to get a lender to approve you. It’s simple, fast, and stress-free. Do it any time and from any location as long as you have a computer or mobile device. You can even apply from home in the middle of the night if that is most convenient for you. If you have never gotten a loan this way before, you may be unsure about it. Let us put your mind at ease by letting you know what to expect. 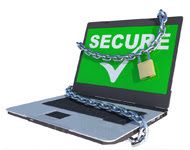 Once you submit your information through the application, which is kept secure on line through encryption, we send it on to a lender from our selective network of professionals. That lender will take a quick look at your tax anticipation loan application, and most likely approve you in about a minute. You will get a virtual loan document to e-sign to make the loan official, and within 24 hours or less you should see the cash in your account. Your lender only needs to transfer the money there and you will be ready to use it. This is the exciting part of getting a tax anticipation loan: spending the money. Once you see the cash in your bank account, you can start spending it. Withdraw the cash or use your debit card or checks and spend the money however you want. Your lender will deduct what you owe on the correct date, so all you have to do is enjoy spending the money you earned. Apply for your tax anticipation loan right now and start feeling the trill of having extra cash to spend. In this age of so much information, shopping around is easier than ever. But, sometimes the amount of information out there can be overwhelming. 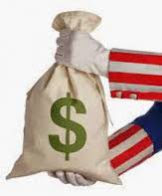 We can help you make getting a tax loan easier by providing you with income tax advances reviews. These reviews will help you find out why other people, just like you, chose these loans and how the extra cash helped make their lives a little bit easier. When you read the income tax advances reviews that people have felt compelled to write after receiving such great service, you will quickly see that they really depend on this cash. You’ll read stories of people who needed the money to avoid overdrawing their bank accounts, to avoid asking family for money again, and even to make sure they could keep their kids fed and avoid having to decide between one expense and another. Having your tax cash early from these loans could be just as useful as it has been to these review writers. You don’t actually have to wait weeks and weeks to get the money from your tax refund. 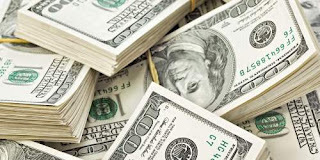 In fact, you can have that cash soon and you can have it easily. When you read through these income tax advances reviews, you will be able to see just how easy it is. People write about their experiences with applying at home, on the bus, or even at work with a mobile app. It literally takes just a few minutes to apply because our lenders also make approval easy to achieve. Our reviewers will show you that these loans are easy and make getting your tax refund sooner a breeze. The best thing about these income tax advance reviews is that they help you feel better about going for it. You can get the confidence you need to take a chance thanks to reading the experiences of other people who are a lot like you. 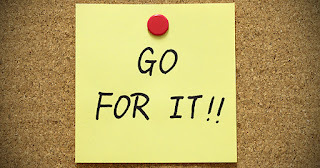 Sometimes we all need a little push to do what we know we should. Once you do get this loan to advance your tax refund, you’ll be among the many people singing its praises in the tax advance reviews. No one gets excited about tax season, except maybe for tax preparers, but we have a great reason for you to be thrilled that tax time is finally here: income tax loans. These loans can provide you with the cash you need for current expenses, and you don’t have to file your taxes first or wait for your refund check to come in the mail. Here’s everything you need to know about these amazing loans. Don’t make the mistake of thinking this will be a hassle and that it will be easier to simply wait for your refund check to arrive. These loans are so easy you won’t believe it until you try it. You can apply with a mobile app, from anywhere and at any time of day, or even night. It takes just a few minutes to complete the one page application for an income tax loan. Once you have completed this easy step, the rest of the work is done by your lender. You just wait to get approved and then to have the money transferred to your bank account. There is no check to pick up and no visit to the bank. 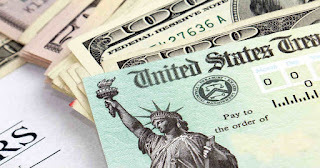 The IRS can take weeks, sometimes even months to get you the cash you are rightfully owed. With an income tax loan, on the other hand, you can have that same cash much sooner. 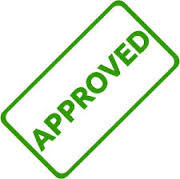 You can get approve on the same day you apply, and get your cash by the next morning. It’s like an advance on your refund, so you can feel comfortable knowing you will have the cash from your taxes to make repayment. It’s a totally risk-free way to get quick cash. This income tax loan comes with no strings attached. This isn’t like when you borrow money from your parents and they make you feel guilty if you want to splurge a little on yourself. Go ahead and use this cash to go out to dinner after all your bills are paid. Why shouldn’t you enjoy a treat now and then? You work hard, you paid your taxes, and you can spend your refund and your income tax loan cash any way you want. Get started right now, even if you haven’t filed your taxes yet, and you can start enjoying your refund as early as tomorrow. With a fresh start after the first of January everyone has a chance to begin again, to do things better, and to make smarter choices. For a lot of people this extends to financial decisions and goals. While others are out to lose weight and get fit, you want to get financially fit and start making better choices about spending and saving. 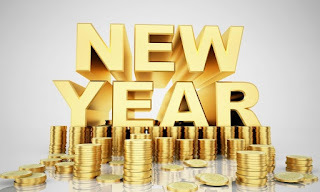 Here’s your handy guide to using payday loans to meet your money resolutions. Debt is a huge burden and it might seem like getting another loan is a strange way to get rid of it, but trust us on this one. If you have multiple sources of debt, using Green Leaf payday loans to consolidate all of them into one payment is a smart move. It means organizing your debt into one loan so that you don’t have to try to remember all your payment dates or making late payments and incurring even more fees. With Green Leaf payday loans you can consolidate all your debt and get it paid off sooner and at a lower cost. Another money goal that a lot of people make and try to achieve is to set and stick to a budget. This can help you to spend less and save more, but it is hard to make a budget when you are often out of cash. Living paycheck to paycheck is challenging, especially when it comes to budgeting. 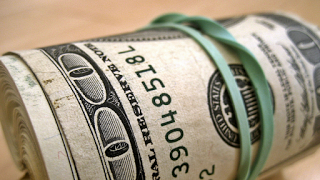 If you use Green Leaf payday loans, you can ensure that you have a set amount of cash to budget for the month. Use this extra cash to make sure you can pay the bills and that you spend wisely and within your budget. If you’re tired of wasting money on late fees when you can’t pay bills on time or on overdraft fees at the bank when you don’t realize you’ve run out of cash, Green Leaf payday loans can help. With the extra cash from these loans you can make sure that you never waste money again paying bills late or overdrawing your account. Another benefit is that you can start to repair your credit score when you start paying bills on time, and this means you will ultimately save money because a better score will get you better rates in the future. Now is the best time to start planning for a better financial year. Applying and getting approved for Green Leaf payday loans may be the easiest thing you do this year too. Just use a mobile app on your smartphone and you could have the cash you need for your financial resolutions by tomorrow. 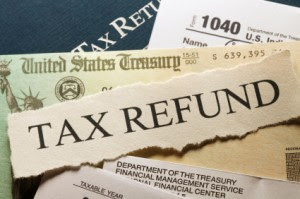 Tax season is an exciting time of year, but it seems like it takes longer and longer to receive those refunds nowadays! This year, try our same day tax refund to take some of the stress out of waiting on your refund. There’s no reason to wait months and months for your check when you could apply for our same day tax refund and have money in your bank account by the end of the day! Our online application is so easy, you don’t even have to leave the house and you could have cash deposited directly into your account within 24 hours. Life doesn’t stop for anyone, and it certainly doesn’t stop to wait for our tax refund checks to finally show up. With a same day tax refund, you can complete our online application and have cash deposited into your bank account within minutes. 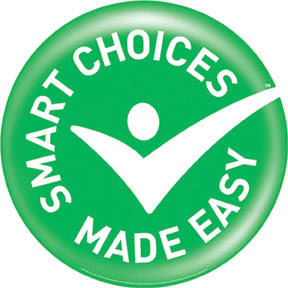 Sometimes we can’t have it all, and we all have to pick and choose, but you don’t have to choose with a same day tax refund. There’s no reason to wait months for a refund in the computer age. You can have your hard-earned money now – no matter HOW LONG the IRS says it will take to process your refund. Live for today and enjoy your life right now with a same day tax refund! Many people believe they have to meet with a professional to do their yearly taxes, as well as working with their bank to get any personal loans or cash advances. Not only can you file for a same day tax refund from home, you don’t ever have to go to the bank for a personal loan again. 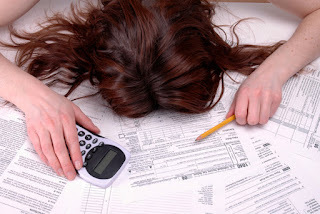 When you file your taxes, you have to wait months and months for money that has already been promised to you! Why wait when you could get a same day tax refund? There are no credit checks or employer phone calls, and you can apply online from your tablet, computer, or even your smartphone. Our same day tax refund application is easy to use and within minutes we will connect you with a lender. Apply online today! Most financial institutions have strict credit requirement for unsecured personal loans, including many time-consuming and invasive practices including background checks, credit reports, and even calling your employer. To qualify for a same day tax refund, we only ask that you be employed, 18 years or older, and that you are a US citizen with a valid bank account. Our same day tax refund application is so easy, it almost makes it fun to do your taxes. Okay, having fun doing your taxes might be a stretch, but getting a same day tax refund isn’t! With a same day tax refund, you don’t have to have perfect credit to enjoy your money fully and immediately. Spend your money today instead of three months from now with a same day tax refund – apply online! More people each day are realizing just how useful, convenient, and affordable personal tax refund anticipation loans are. You can use your paycheck to get approved and feel secure in borrowing money knowing that you have a tax refund coming your way. Repay the loan however you can, but if you know you have a refund coming, you know that repayment will be easy and doable. 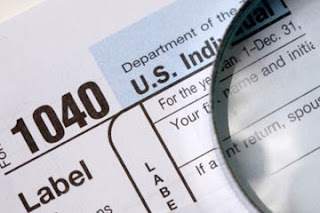 For these reasons, personal tax refund anticipation loans are becoming really popular. Whatever your money need is, you can use personal tax refund anticipation loans to meet it. These loans have no strings attached, and unlike borrowing from friends or family, this money comes without guilt or pressure to spend it a certain way. It’s like getting your tax refund sooner, and that money is all yours. You can spend it however you want. Most people get personal tax refund anticipation loans because they know that they have cash coming from their tax returns, but they want to spend it now. If this sounds like you, imagine all you could do with that cash: pay your bills, pay the rent to get your landlord off your back, pay off your expensive credit card debt, take a short vacation to relax, or buy yourself something nice as a treat for being so responsible and hardworking. 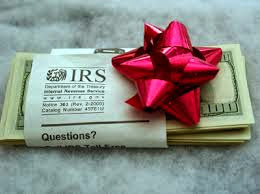 Another reason these personal tax refund anticipation loans are becoming more popular is that they are so easy to get. You don’t have to spend hours filling out paperwork, faxing documents, or visiting the bank to get these loans. Just fill out one short application online and your work is done. From there a lender does the rest of the work. Your lender contacts you, gets you approved, and even puts the money you’re borrowing in your bank account. All you really need to do is fill out that quick, one page application. It’s fast too. You can do your part, wait on your lender, and see your cash in your account on the same day. If you apply later in the day, you might wait until the next morning, but no longer than that. To see what everyone else is talking about, apply for personal tax refund anticipation loans today. 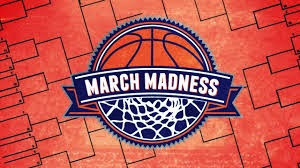 Can Tax Loans Repair the Financial Damage Done by Your March Madness Bracket? Was your bracket busted? Use a tax loan to put your finances back on track. March Madness is a way of life. You prepare your bracket, place your bets, and then watch nothing but college basketball for almost three weeks straight. You disappear from your family. Your work suffers. More importantly, you probably end up losing out on your bracket. It’s not easy to pick winners in this tournament, and while the promise of a cash windfall is tempting, most of us end up in the hole. Tax loans can help you get that money back so you don’t end up missing bill payments, rent, and other necessary obligations. 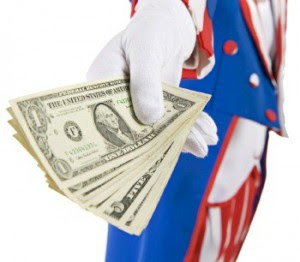 Tax loans are small, personal loans that supply you with quick cash when you really need it. For example, you lost some hard-earned money on your bracket, and while you were swept up in the excitement of the tournament you forgot that rent was due the next day. Enter tax loans. You can apply one day and get cash the next. Or, if you’re really in a bind, you can apply and get your cash within an hour. 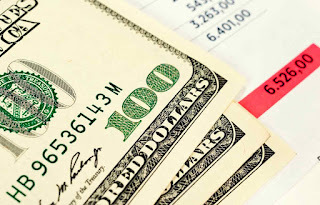 Tax loans are really great if you know that you have a refund coming with your tax return. Put your mind at ease knowing you’ll be able to pay the loan back easily with that refund, as soon as March Madness is over and you get around to filing. How Do I Get Tax Loans? Don’t worry about missing any precious basketball-watching time. Tax loans are fast and easy. All you need to do to get started is go online and fill out a simple application. In fact, you don’t even need to get up from the couch to get your computer, just use our mobile app on your smartphone. Once you’ve filled out the application, we’ll get a lender to approve you in minutes. Then, select from among your loan options. Decide if you need the cash today or can wait to get it tomorrow. Decide how and when you want to pay the money back, and agree to the loan terms. 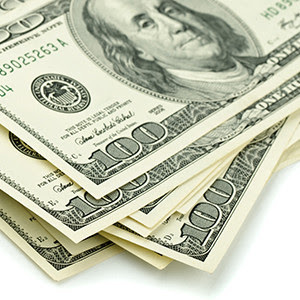 You will see the cash you need deposited directly into your bank account. Applying and getting the cash you need couldn’t be easier or quicker, so pull out your phone and get started now.